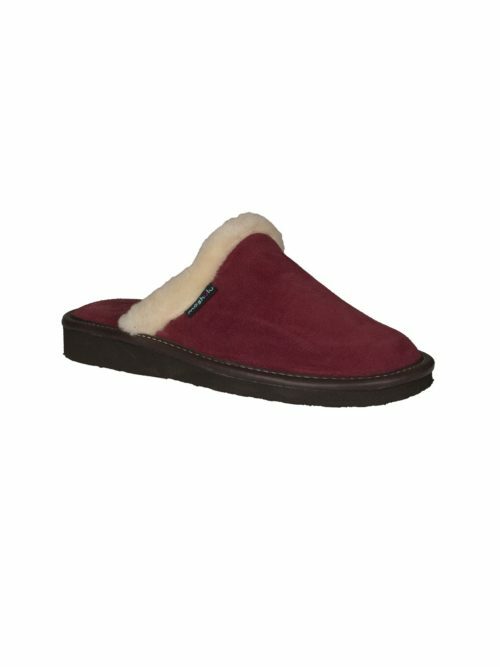 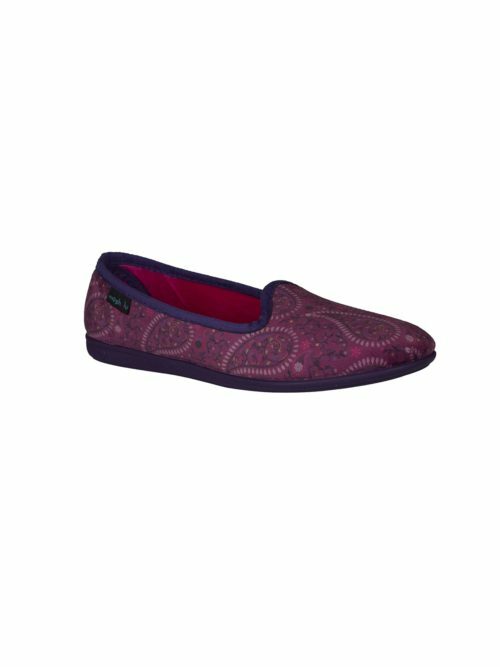 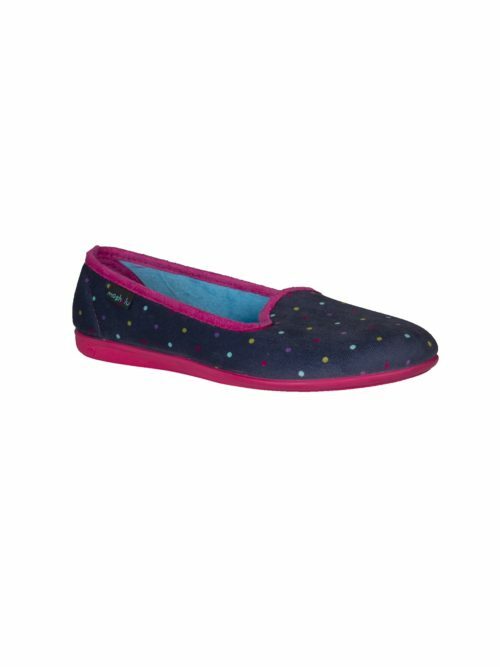 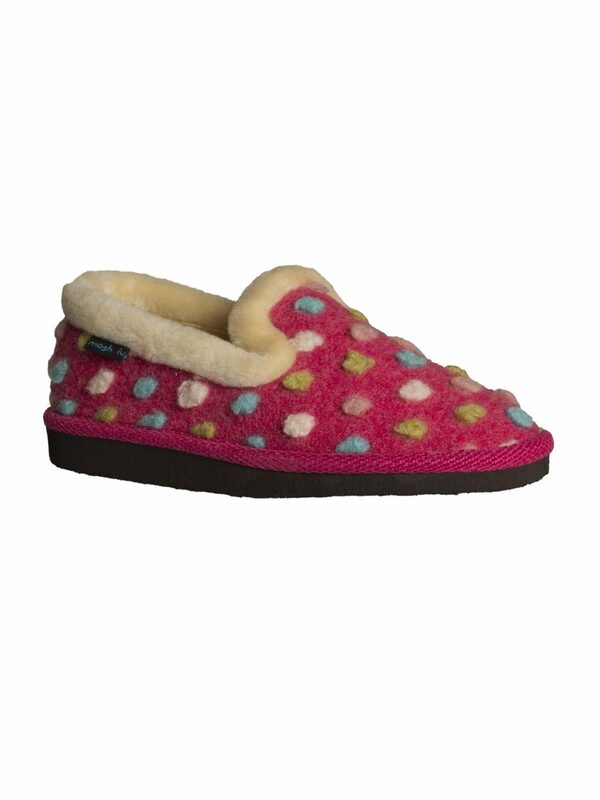 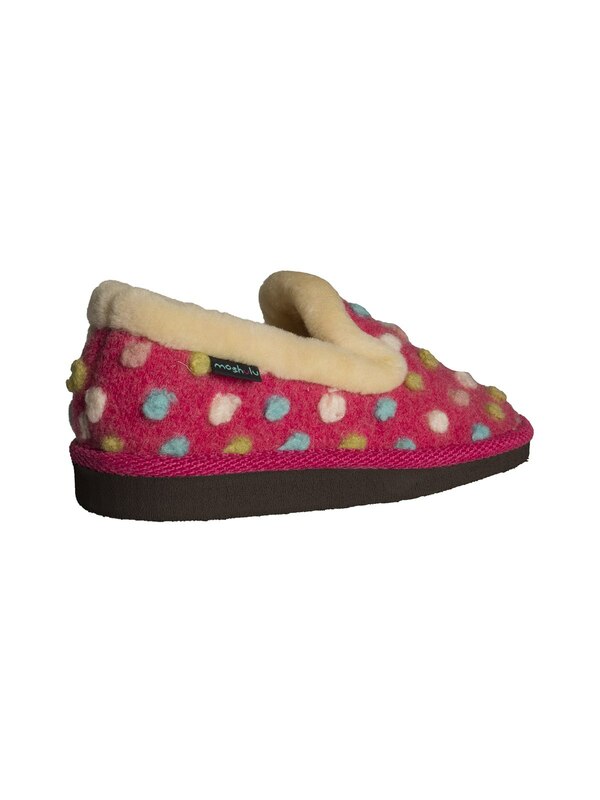 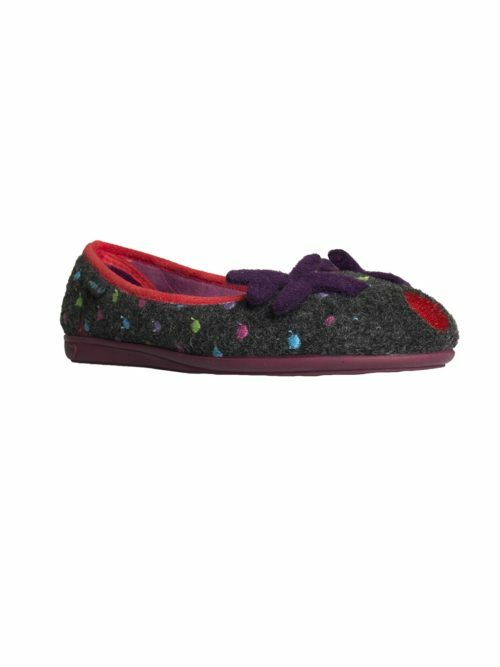 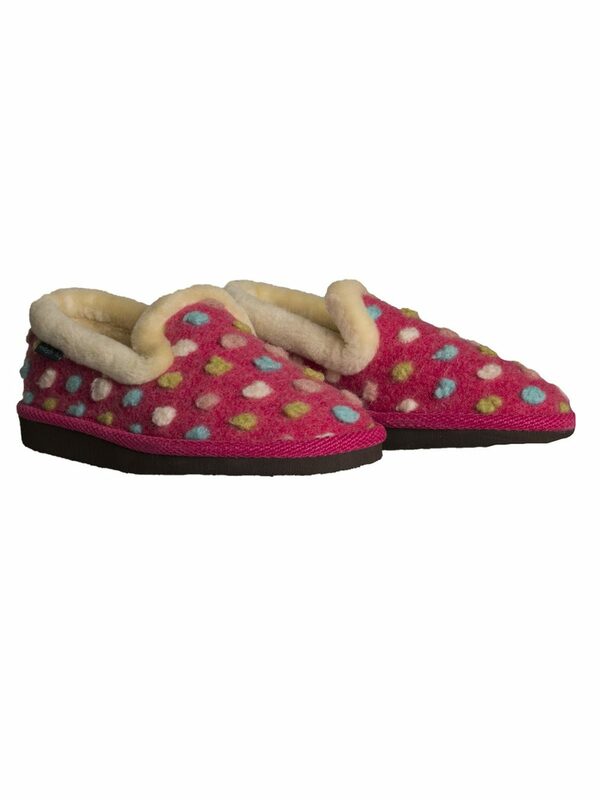 Cool and colourful Peanut Brittle Slipper from Moshulu. 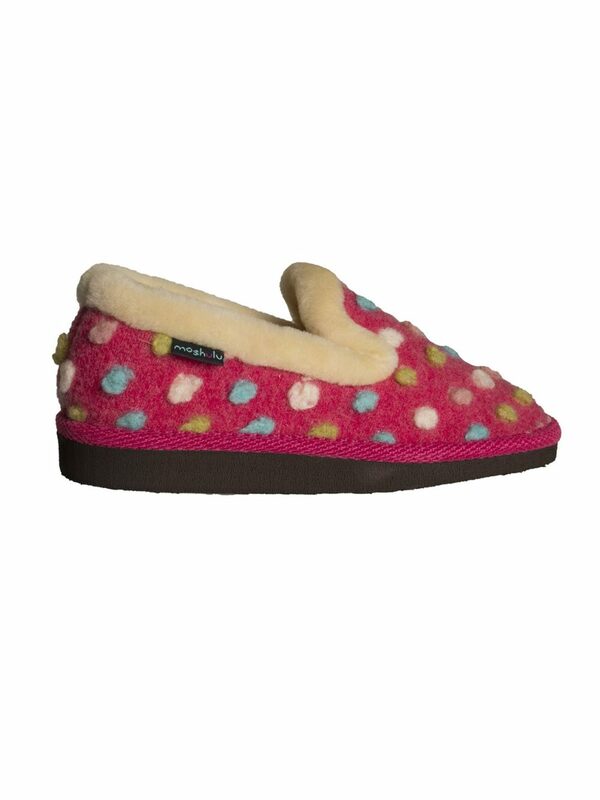 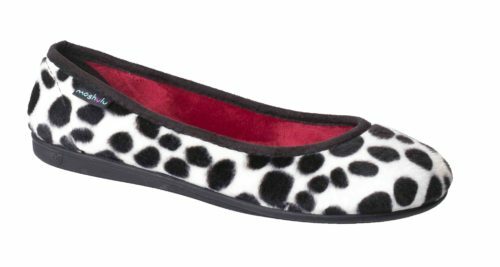 Really comfortable with a lovely multi colour spot pattern. 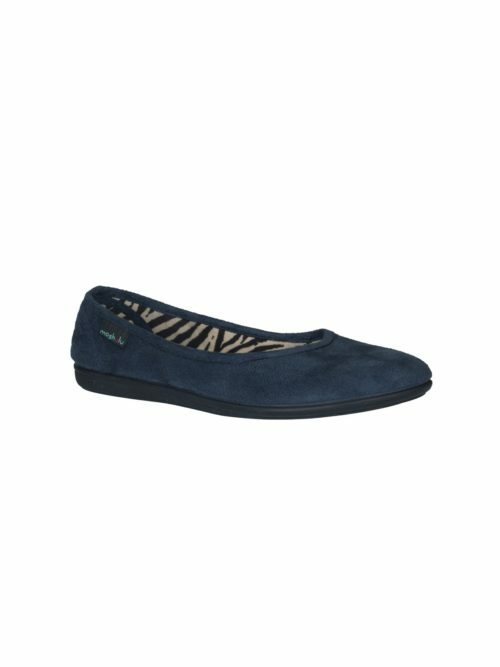 Also comes in blue.